Explore Stonehenge away from the crowds, and hear insightful theories on the prehistoric monuments origins from your expert tour guide. 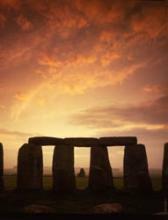 Step into Stonehenge’s Inner Circle and admire up-close views of the monolithic blocks. It’s possible to combine your Stonehenge tour with a visit to Salisbury Cathedral, Lacock, Castle Combe, The Cotswolds, Avebury Stone Circle. West Kennet Long Barrow and Silbury Hill or even Glastonbury and King Arthur’s Avalon. This is a rare opportunity to visit one of the most popular and mystifing Prehistoric sites in the world. Our bespoke Stonehenge special access tour is an early morning (sunrise) or evening (sunset) event, closed off to the general public where you will be able to walk amongst the stones and stand within the stone circle!